SaveTheDugong.org does not focus its campaign on images of dugong hunting or deaths, as a matter of policy. However, it is important for supporters to know exactly what these practices involve and this page is dedicated to providing clear documentary evidence. 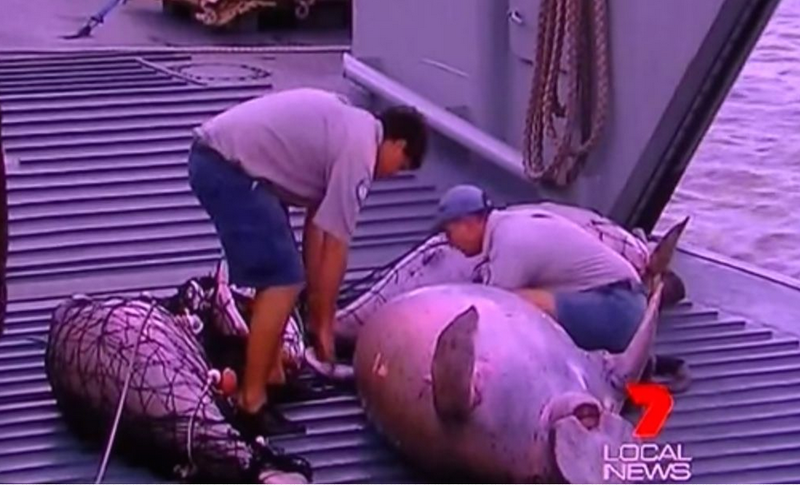 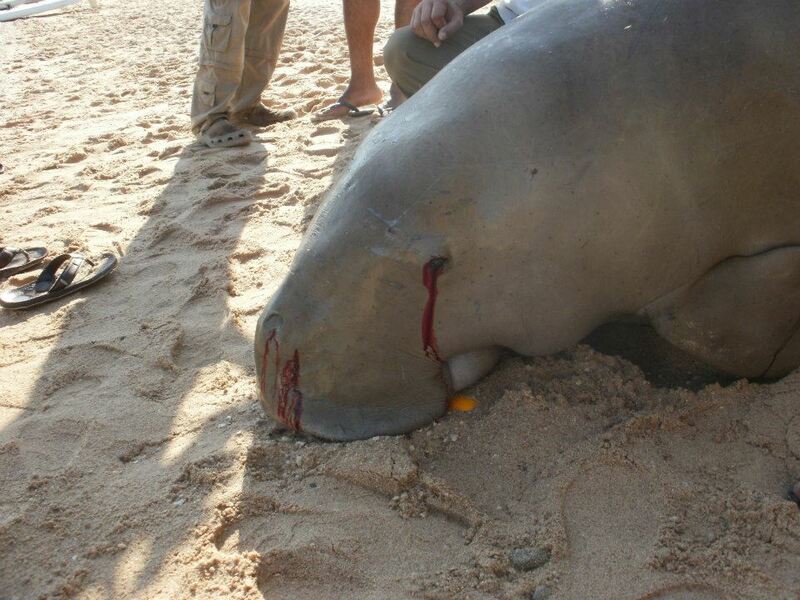 Dugong mother and baby killed by a boat strike. The deep cuts are the result of a boat's propeller hitting the poor creature while it was swimming near the surface to breathe. Photo courtesy of Endangered Animal Research Lily. 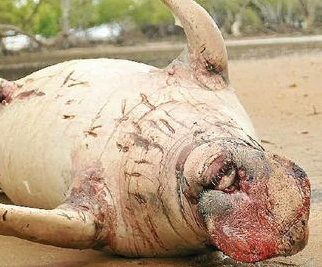 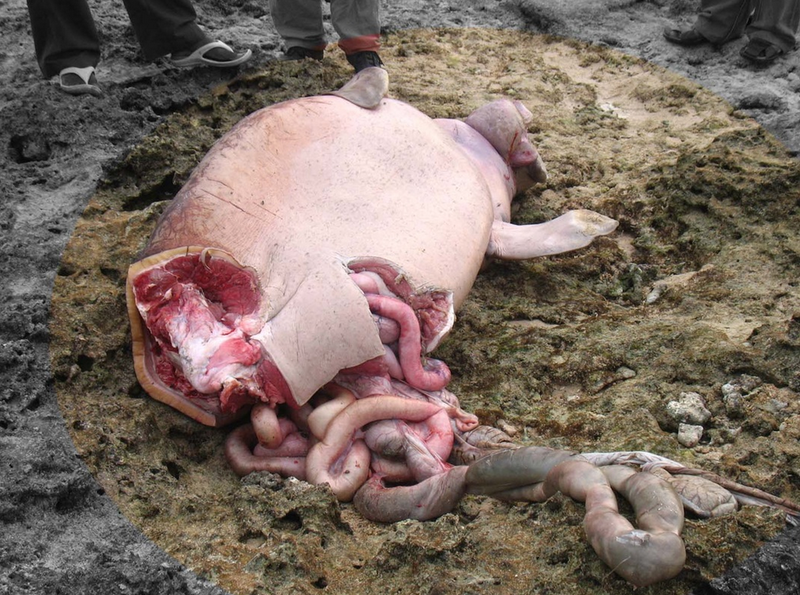 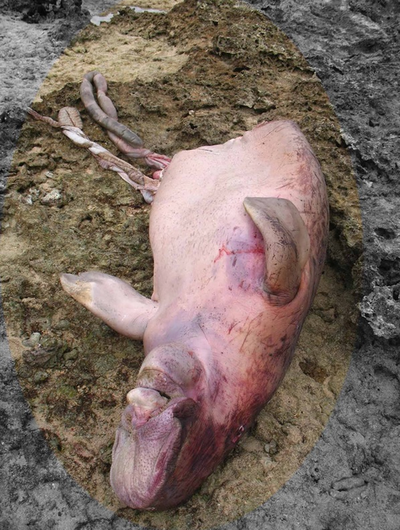 A dugong killed by a boat strike. 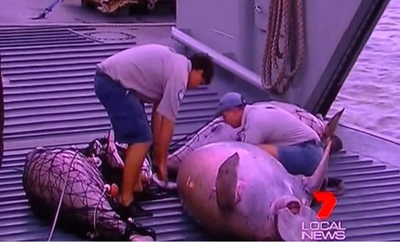 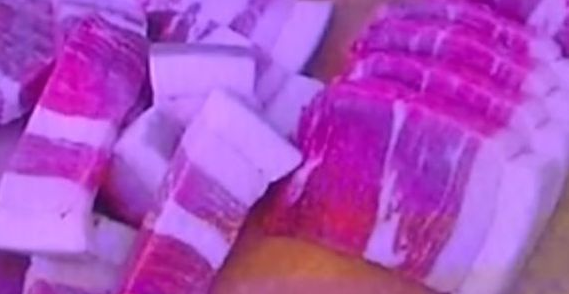 The cuts are the result of the boat's propeller hitting the poor animal. 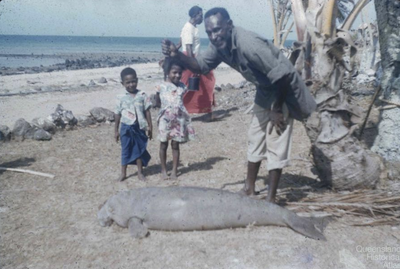 Photo courtesy of University of Queensland. 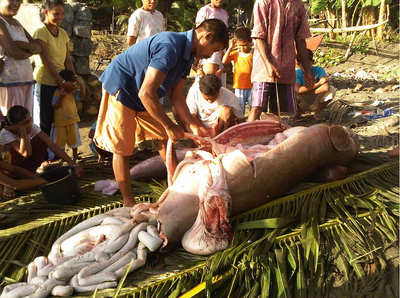 Photo courtesy of Green Prophet. 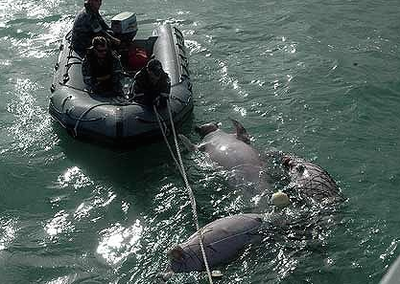 Dugong drowned in fishing nets. Photo courtesy of University of Queensland. 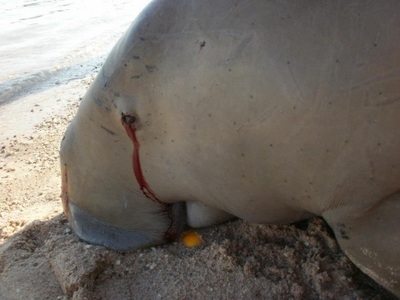 "Traditional" dugong hunting prescribes the use of dugout boats without motors. 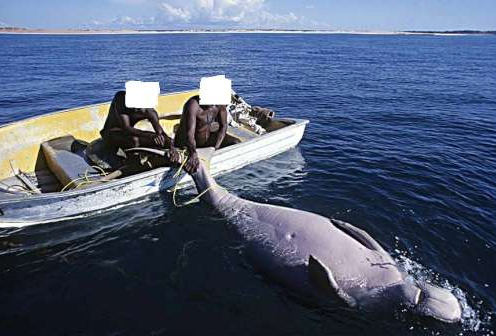 These two hunters are on an metal motor boat, which is not traditional and therefore violates the law. They are bringing aboard a dugong that would have likely lived until the age of 70 years. 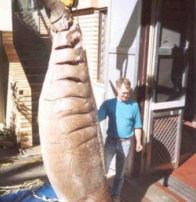 Photo courtesy of the amazing Ben Cropp. 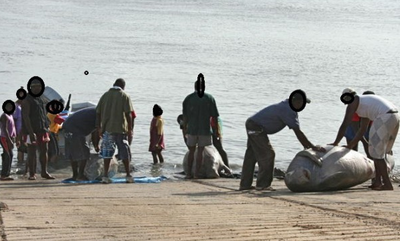 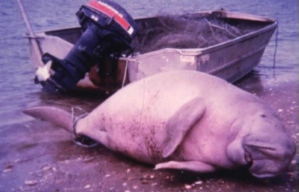 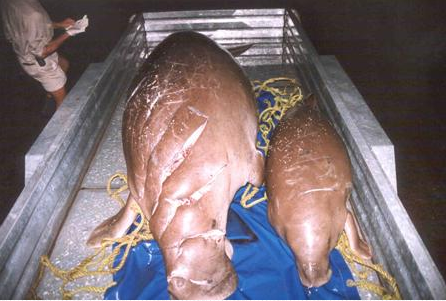 Dugongs being commercially hunted and killed. 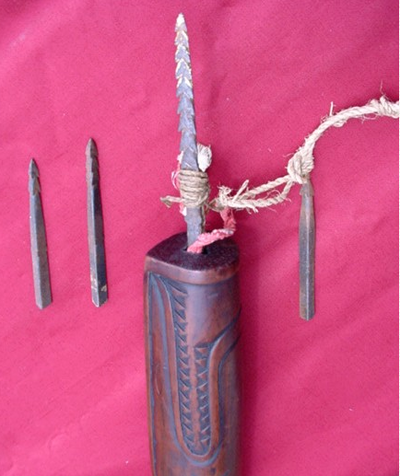 Spear traditionally used to kill dugongs. 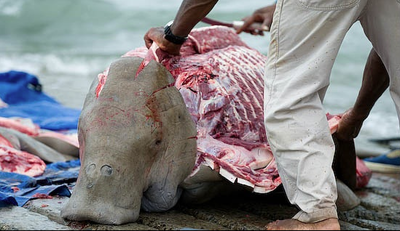 http://bit.ly/19REpwf Photo courtesy of spearchuckasart.com Current hunters, by and large, do no use these spears any longer, thereby violating the law which prescribes that only traditional methods be used in hunting dugongs.